"Oh Wondrous Type! 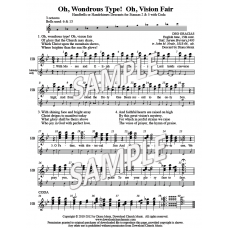 Oh, Vision Fair" that fits LW accompaniment for stanza 5. 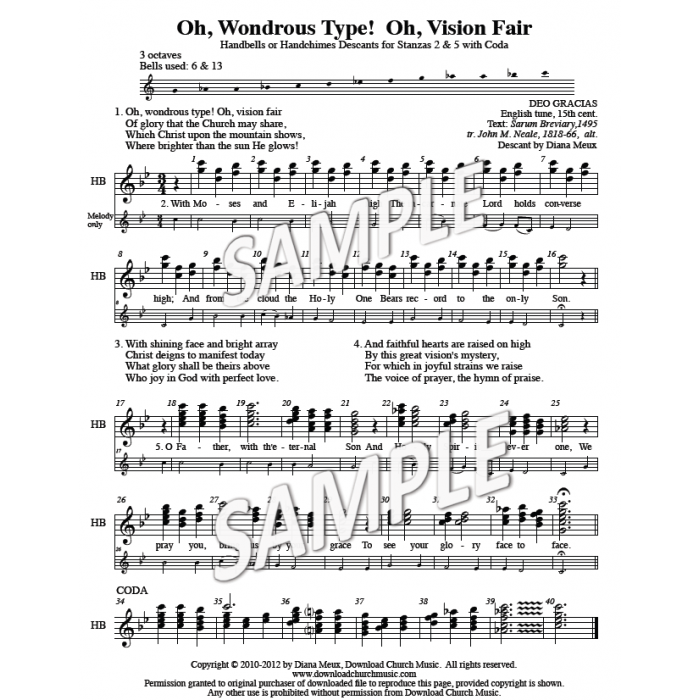 "O Wondrous Type! 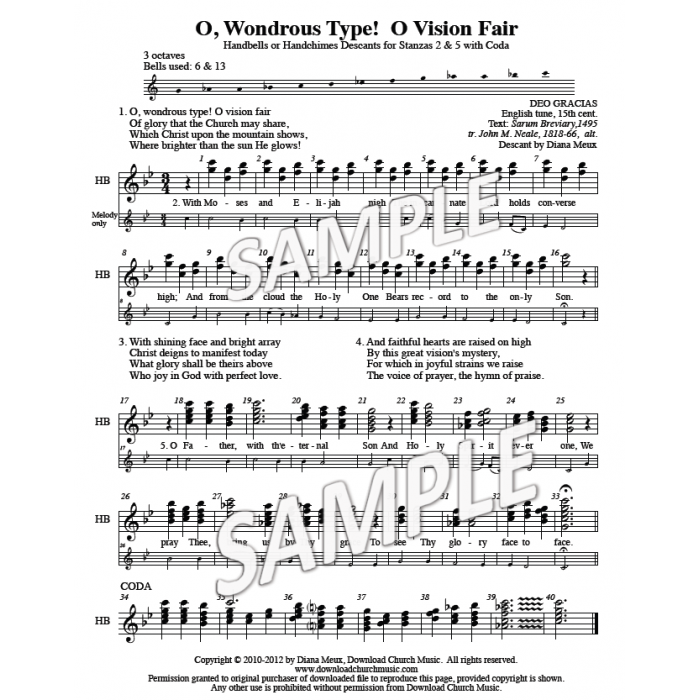 O Vision Fair" that fits LSB accompaniment for stanza 5. Also available is a version that fits LBW. Descant 1 page. Stanza 2: Ostinato-based descant. Stanza 3: Chordal descant.